Founded in 1987, Marico Ltd is a leading Indian Group in consumer products space. The company market products in hair care, health foods and male grooming segments. Marico’s Indian business portfolio include brands like parachute advansed, hair & care, nihar, mediker, saffola, revive, manjal, setwet, zatak and livon, while the global portfolio offers localized brands like parachute, hair code, fiancee, caivil, hercules, blackchic, code 10, ingwe, x-men, l’ovite and thuan phat. The company derives ~78% revenue from domestic market, while, the rest ~22% revenue comes from global operations. The company has presence in Egypt, South Africa, Middle East, Malaysia, Vietnam and Bangladesh, apart from India. Most of the company’s brands enjoy leadership position in the market. In domestic market, its key brands like Parachute and Saffola enjoys market leadership with a market share of ~57% and 58%, respectively; while, other brands like nihar, livon and silk & shine are also continuously gaining traction. In international market, parachute coconut oil (Bangladesh) and hair code & fiancée hair gels (Egypt) relishes a market share of 81% and ~59%, respectively. These market leading brands helps Marico in boosting its sales even if its other brands found the going tough. Launching new and innovative products in the domestic market is one of the three growth pillars of Marico (second being driving growth in current portfolio and thirdly through strategic acquisitions). During Q4FY15, Marico launched a variety of products in different product categories to stay competitive. While the company launched ‘Parachute Advansed Aromatherapy’ and ‘Nihar Naturals Shanti Sarson Kesh Tel’ in value added hair oils category; it also launched ‘Livon Moroccan Silk Serum’ and re-launched ‘Set Wet Gels’ among Youth brands. Moreover, in order enhance its customers in edible oil category, Marico decided to launch lower pack sizes of its super premium refined edible oil, Saffola at 500 ml, which is expected to grab its urban customer’s attention. We believe the newly launched products would help the company to grow faster and ahead of its peers. Presently having presence in Egypt, South Africa, India, Middle East, Malaysia, Vietnam and Bangladesh; Marico is planning to increase the revenue contribution from its global operations to ~25 – 35% in the upcoming years from the current revenue contribution of ~22%. In order to achieve this, the company would be focusing more on Asian and African market as its area of interest lies in low-to-mid income consumer market, where there are younger people and product penetration is low. Marico Ltd., one of the country’s leading consumer products group, was founded in 1987. It operates under a single segment i.e. Consumer products, with the company’s products in Hair care, Health Foods and Male Grooming sub-segments generating a turnover of `5,733.0 crore in FY15. Over the past five years, Marico’s top-line and bottom-line have grown at a CAGR of ~16% and ~21%, respectively. Marico’s Indian business markets brands such as Parachute Advansed, Hair & Care, Nihar, Mediker, Saffola, Revive, Manjal, Setwet, Zatak and Livon among others. With unique brands like Parachute, Hair Code, Fiancee, Caivil, Hercules, BlackChic, Code 10, Ingwe, X-Men, L’Ovite and Thuan Phat; Marico has tried to localise the lifestyle needs of its global customers. While deriving majority of revenue from Indian operations; Marico grabs a significant share from the markets of Egypt, South Africa, Middle East, Malaysia, Vietnam and Bangladesh as well. The company’s Indian and global business accounts for ~78% and 22%, respectively (as in FY15). Marico’s key manufacturing capacities are located at Kanjikode (Kerala), Perundurai (Tamil Nadu), Pondicherry (Pondicherry), Dehradun (Uttarakhand), Poanta Sahib and Baddi (Himachal Pradesh). Through its distribution network of 4 regional offices, 32 carrying & forwarding agents (CFAs) and about 5000 distributors and stockists; Marico sells more than 7.5 crore packs every months through ~3.6 mn retail outlets. Value growth in Indian FMCG business boosted the top line: The FMCG major Marico recorded healthy growth of 14.4% YoY in consolidated revenue to ~1,226.3 crore in Q4FY15, while reporting a 22.3% YoY growth for FY15 to `5,733.0 crore. This was mainly on account of healthy growth on both domestic as well as international front. Having generated a revenue growth of 17.0% from Indian business, Marico posted 6.0% growth (in constant currency terms) in revenue from international business in Q4FY15. For the year, Marico registered a growth of 26.0% and 10.0% in revenue from Indian and global business. In India, the volumes grew marginally by ~3% in Q4FY15 and by ~6% in FY15, reflecting continued softer consumption trends, however, the overall sales growth was boosted by the price increases taken across the portfolio to cover a major part of the input cost push. Higher raw material cost dented the margins: Supported by a substantial decline in purchases of stock- in trade and a drop in inventory (as a % of sales) by 108bps and 392bps, Marico managed to report 11.2% YoY growth in EBITDA to `171.3 crore in Q4FY15. However, a 480bps YoY rise in raw material cost (as a % of sales) impacted the EBITDA margin, which contracted by 39bps YoY to 14.0% in Q4FY15. EBITDA margin for the year improved to 16.6% compared to 15.9% in FY14. Net Profit surged 24% YoY driven by a rise in other income: Lastly, Marico showcased 24% YoY growth in its consolidated net profit at `110.0 crore in Q4FY15 on account of 42.8% YoY growth in other income to `18.8 crore. Decline in interest and depreciation cost by 16.9% and 7.0% YoY further augmented the profit-base in Q4FY15. While, in FY15, net profit surged by 18.1% YoY to `573.5 crore. Marico has been able to maintain healthy growth across its product portfolio over the years. The company’s flagship brand, Parachute, has witnessed improvement in market share during the 12 months period ended March 2015. The market share of Parachute along with Nihar improved ~100bps to 57%, reflecting a strong position in the market. During FY15, Parachute’s rigid portfolio (packs in blue bottles) saw a value growth of 34% and crossed the landmark of `1,500 crore in revenue. As per a study on branded coconut oil market by Marico, the overall branded coconut oil market size is ~`4,500 crore, of which, approximately 35-40% (in volume terms) is in loose form. This loose component provides headroom for growth to the branded players. Parachute, being the market leader is well placed to capture a significant share of this growth potential on a sustainable basis. Marico’s value added hair oils (Parachute Advansed, Nihar Naturals and Hair & Care) recorded a volume growth of ~10% in FY15. With four strong brands under its portfolio, namely, Parachute Advansed Jasmine, Parachute Advansed Ayurdevic Oil, Nihar Naturals Perfumed oil and Nihar Shanti Amla; Marico’s value added oils crossed a landmark of `1,000 crore revenue in FY15. The company strengthened its position in the segment with 88bps growth to 29% volume share for the 12 month period ended March 2015. During Q4FY15, Marico launched Parachute Advansed Aromatherapy, a prototype aimed at making hair oiling relevant to urban lifestyle through the benefit of de-stress and relaxation. Moreover, with the launch of Nihar Naturals Shanti Sarson Kesh Tel, in February 2015, Marico tried to grab a share in loose mustard oil market. Given Marico’s continuous focus on upgrading the portfolio by playing across segments that cater to consumer needs of nourishment and problem solution, we expect the value added hair oil category would continue to grow, going forward. Marico’s other dominant brand, Saffola, continues to see improvement its performance as it grew by ~6% YoY in volume terms during FY15. However, in Q4FY15, volume was down 1% impacted primarily due to increased price premium of `40-50 a litre compared to other brands. To cope up with this, Marico has decided to launch smaller packs of 500 ml in a move to drive volumes. Launch of 500 ml packs is likely to encourage trials for first time buyers. The management believes that a recovery in urban demand would help it achieve a volume growth rate of ~9-10%. Saffola is considered an urban brand with ~30% of its sales coming from modern retail outlets. In the oats category, various distribution initiatives undertaken by Marico have placed Saffola Oats now being the most distributed oats brand in India. The oats franchise crossed the revenue benchmark of `80 crore in FY15 and is expected to cross `125 crore in FY16. Localisation of product and encouragement of consumption by promoting Saffola Oats as an in-between meal apart from breakfast has been the key catalyst in creating and succeeding in this category. Marico’s premium urban brand, Saffola maintained its leadership position in the super premium refined edible oils segment with 268bps gain in market share to 58% in FY15 and is expected to maintain this trend for the upcoming year in the midst of increased competitive intensity in the category. Saffola oats too, has gained a strong no. 2 position in the market, iterating the success story of the newly introduced category. Marico witnessed a significant rise in the cost of its key raw material, Copra (constitutes ~40% of Marico’s raw material cost) as the production was affected due to the adverse weather conditions. Since there is a direct correlation between copra prices and the company’s consolidated gross margins, any increase or decrease in copra prices directly impacts the profitability of the firm. A spurt in copra prices has been seen from mid-2013 onwards. While the average market price of copra was up by 16% YoY in Q4FY15, the same rose 60% YoY for the year. In order to mitigate the risks related to the same, Marico undertaken a weighted average price increase by ~11% in FY15 so as to pass on the cost push and maintain absolute margins. For a FMCG company like Marico, shift in consumer preferences could have adverse impact on demand of the company’s product. Given the explosion of social media, the speed of such shift could be very swift. However, Marico invests significantly in consumer in sighting to adapt to changing preferences. Another problem in FMCG space is that there are chances that new product launches may not be accepted by the consumer or may fail to achieve the targeted sales volume or value. Given this fact that the success rate of newly launched products in FMCG sector is low, Marico emphasize more on launching the prototyping of existing products that helps maintain a healthy pipeline and at the same time limits the downside risks. Also, Marico is exposed to a wide variety of currencies like the US Dollar, South African Rand, Bangladeshi Taka, UAE Dirham, Egyptian Pound, Malaysian Ringgit, and Vietnamese Dong. The company is, however, conservative in its approach and uses various hedging mechanisms to compensate for the same. In situations of economic constraints, items which are in the nature of discretionary spending are the first to be curtailed. In an extended recession, down trading from branded to non-branded or premium to mass market products could occur and affect the financial performance of the company. Marico’s sharpened focus on growth drivers like food categories (oats) and youth brands (deodorants, hair gels, hair creams) is believed to yield fruitful result. The company’s management’s continuous focus towards deriving synergies from the unification of domestic and international business also makes us positive for an improved performance in the upcoming years. Further, we believe that cross pollination of different products will drive innovations and brands, especially in the youth portfolio. Demerger of low margin Kaya business makes it a pure play consumer company and thus the future prospects seem brighter for the company. At a CMP of `445.0, Marico is attractively placed at EV/EBIDTA of ~27.1x FY16E, 42.4x FY16E P/E and 12.4x FY16E P/B. Considering the above aspects, we rate the stock as ‘BUY’ with a target price of `517, implying potential upside of ~16% for the coming 12 months. LIC Housing Finance Ltd. (LICHF) is one of the largest housing finance companies in India, promoted by Life Insurance Corporation in 1989. LICHF engaged in the business of providing loans for purchase, construction, repairs and renovation of houses to individuals, corporate bodies, builders and co-operative housing societies and has its operations within India. With ~10% market share, LICHF is second largest housing finance company (HFC) in India after HDFC Ltd. The Authorized Capital of the company is `1,500 million and its paid up Capital is Rs. 850 million. Despite of the tough macro-economic factors, LICHF has consistently improved its profitability, with a CAGR of 9% over last five years. With a strong loan growth of 18.6% YoY, Net interest income (NII) rose 18% YoY to Rs.22.4 billion in FY15. Net interest margins (NIMs) also remained above 2.0% over past couple of years on the back of lower cost of funds. We believe that on the back of rising retail spreads and lower cost of funds, LICHF is well positioned to take the advantage of the underlying opportunity present in the Indian housing finance industry. LICHF continues to witness improvement in its asset quality for the third consecutive quarters with a 11 bps equential decline in Gross NPA ratio at 0.46% and 9 bps YoY sequential in Net NPA ratio at 0.22% during Q4FY15. With the stabilization in developers loan book, we expect LICHF to hold best in class asset quality trends following the recovery from corporate portfolio and improved funding opportunities would help to slacken the strain on developers. Government’s focus on the Housing sector to drive demand for housing loans With an aim to provide housing for all, the Narendra Modi led new government is banking higher on the development of the housing market. During the Budget session 2015-16, the government of India (GoI) made positive regulatory announcements, with allocation of ~ Rs.220.47 billion fund for low-cost housing. Thus, being the second largest housing finance company, we believe that LICHF is likely to benefit from government’s thrust on ‘affordable housing’ and ‘housing for all’ initiatives. Going ahead, relaxation of regulations for affordable housing sector such as higher LTVs, long-term bonds for affordable housing with relaxation on CRR/SLR requirements will further provide huge growth opportunities to the industry. Further, any near time rate cut by Reserve Bank of India (RBI) in the coming months will help LICHF to further reduce borrowing cost. LIC Housing Finance Ltd. (LICHF) is one of the largest housing finance companies in India, engaged in the business of providing loans for purchase, construction, repairs and renovation of houses to individuals, corporate bodies, builders and co-operative housing societies and has its operations within India. In addition, the company also distributes its products through branches of its subsidiary LICHFL Financial Services Ltd. LICHF was promoted by Life Insurance Corporation in 1989 and a public issue was made in 1994. It launched its maiden GDR offering in 2004. The company enjoys the highest rating from CRISIL & CARE indicating highest safety with regard to the ability to service interest and repay principal. The company launched its maiden GDR issue in 2004. The Authorized Capital of the company is Rs.1500 million and its paid up Capital is Rs.850 million. The main objective of the company is providing long term finance to individuals for purchase / construction / repair and renovation of new / existing flats / houses. The company possesses one of the industry’s most extensive marketing network in India, with registered and corporate Office at Mumbai, 7 Regional Offices, 15 Back Offices and 194 marketing units across India. Since last three years, LICHF continues to deliver consistent growth in profitability, which grew at a CAGR of 11% at Rs.13.9 billion. In FY15, LICHF has reported a healthy set of numbers, with 16% YoY robust growth in total income at Rs.108.0 billion. Strong loan growth and improvement in net interest margin (NIM) led 21.9% YoY improvement in NII at Rs.6.5 billion in FY15. On operational front, the company delivered healthy performance despite of higher operating cost, with 15% YoY growth in operating profit at Rs.21.0 billion in Q4FY15. Operating cost rose by 21% YoY to Rs.3.8 billion mainly due to higher staff cost. During the quarter, the company made a provisioning of `7.04 billion as against a provision of Rs.7.07 billion in FY14. After providing deferred tax liability of Rs.1.3 billion to comply with National Housing Bank (NHB) norms, the net profit of the company grew by just 5% at Rs.13.9 billion in FY15 against Rs.13.2 billion in FY14. With accomplishment of 25 years, the company surpassed a loan portfolio of Rs.1,000 billion in FY15, with more than 97% of loan assets in the retail category. In the last three years, Loan book grew at a CAGR of 12% on strong traction in individual home loan book and in LAP portfolio. The latter has doubled in size over the past twelve month and its contribution in overall portfolio reached 4.6% at the end of FY15, slightly short of management’s target of 5%. Since FY07, LICHF continued to expand its loan book at a CAGR of >25% against an industry growth of ~15-17% at the end of FY15. With ~10% market share, LICHF is second largest housing finance company (HFC) in India after HDFC Ltd. While, it acquired third position among all banks & HFCs after HDFC and SBI, which have ~15% market share, each. During FY15, LICHF’s loan book grew at a healthy pace of 18.6% YoY to Rs.1,083.6 billion. Loans to the individual segment grew by 19.3% YoY, while loans to the developer segment fell by 1.8% YoY. However, on QoQ basis, loans to the developer started showing signs of improvement with 6% growth. In FY15, the company has crossed `300 billion in loan disbursements at a growth of ~20%, driven primarily by the individual loan disbursements, which grew by 20% YoY and developer loan disbursement grew by ~9% in FY15. In Q4FY15, total disbursement grew by ~24%YoY. The company has done strong disbursement in its Loan against property (LAP) portfolio where growth is over 100% YoY in Q4FY15. LAP and developers loan book now constitute 4.6% and 2.5% of loan book, respectively at the end of FY15. In the retail sector, particularly in residential space, the demand for loan is robust. The 92.9% of the company’s lending is to the retail segment. The company believes that focus on non- metro cities, expanding distribution and competitive lending rates would drive loan growth. LICHF’s NIM has reduced from 3% in FY10 to 2.5% in FY15 due to prolonged elevated interest rate scenario, which kept the cost of funds (CoF) higher. The company has various measures to contain CoF by reducing dependence on bank deposits (down from 32% in FY12 to ~26% as on FY14), which is more expensive than market borrowings as the minimum base rate of banks is ~10% while market rates are below 10% levels. However, at the end of Q4FY15, NIM of the company expanded by 27bps QoQ to 2.5% owing to 30 bps QoQ decline in CoF and stable yield on loans at 9.7% in Q4FY15. However, on YoY basis, NIMs showed an improvement of just 7 bps YoY as 23 bps YoY decline in cost of funds was offset by 25 bps decline in yield on loans. Due to intensifying competition, LICHF has to maintain lending rate at one of the lowest levels in the industry, thus pressurizing yield on loan. Recently, the management stated that the company will soon take a call on lowering the lending rates to pass on the benefit of two successive rate cut to borrowers. Thus, we believe that the company is likely to lower their lending rates by 20 bps to be in-line with lending rates of HDFC, which in turn would further keep yields on advance under pressure. But, with the change in liability, LICHF aims to bring down its CoF further below 9% in the coming years, which in turn would keep the NIM firm, hovering above 2% in next two years. Higher focus towards low cost borrowings to build strong liability franchise. The company’s total outstanding borrowing at the end of FY15 stood at Rs.965 billion. Key funding source of the company is the bond market. Out of its total o/s borrowings, LICHF borrowed 17.6% from banks, 72.6% from low cost Non-convertible debentures (NCDs) and remaining 9.8% from public deposits and borrowings from NHB and LIC. Borrowings from banks have come down further from 19.2% in Q3FY15 to 17.6% in Q4FY15, taking the incremental cost of borrowings below 9% at the end of Q4FY15. The weighted average cost of borrowing reduced to 9.48% at the end of Q4FY15 from 9.77% in FY12. The Reserve Bank of India (RBI)’s two successive rate cut of 50 bps during Q4FY15 brought cheer to the banking and financial services industry. With rising liquidity and ease in inflation, wholesale rates reduced faster than retail term deposit rates in recent times with three-year AAA yields down by as much as 60 basis points over the last three months. That has helped incremental spreads for the company in recent times and improved the near-term outlook. Thus, we believe that the company’s focus on low-cost NCDs and expectation on any fall in bond borrowing rates would lead to lower borrowing costs and improve overall profitability. On the asset quality front, LICHF continued to stay benign, with gross NPA ratio at 0.46%, below industry levels of 0.8%. LICHF marked an improvement in its asset quality for the third consecutive quarter, with gross NPA ratio and net NPA ratio declining to 0.5% and to the salaried class (~88% of retail book), better underwriting standards, lower LTV (loan-to-value) and increasing real estate prices.Individual segment and bottoming-out of stress witnessed in developer loan portfolio in at 53% in Q4FY15. With no major delinquencies in its developer loan book, the company expects no negative surprises on asset quality in the near future. Going forward, we believe that the company will continue to hold best asset quality in industry. Most of the company’s problem accounts in developer segment have been stabilized and therefore further large slippages are unlikely as macro environment improves. Thus, recovery in developer segment is also expected to pick-up as asset quality risks abate and construction activity improve. Delinquencies in retail mortgages segment are expected to remain benign. LICHF has consistently improved its profitability and has maintained its net interest margin (NIM) above 2%. The moderation in the wholesale borrowing cost and expected pick-up in developer loans will further aid the NIMs. Further, on account of continued emphasis on the individual loan book and strong sanction pipeline, we believe that the company will continue to see around 20% growth in its loan book in FY15E. Further, we believe that on the back of adequate borrowing mix and abating asset quality concerns, LICHF is well positioned to take the advantage of the underlying opportunity present in the Indian housing finance industry. At a current CMP of ~Rs.415, the stock trades at a P/BV of 2.4x FY16E and 2.1x FY17E, book value. We recommend ‘BUY’ with a target price of Rs.485, arrived at FY15E book value, which implies potential upside of ~17% to the CMP from a long term perspective. Why Bharti Airtel has a good ‘BUY’ rating with target price of Rs. 495! The heavyweights of the Industry like Bharti, Vodafone, IDEA and RCOM are expecting revival in mobile call rates, in their favor, as the Industry is hit by rising cost pressure and low return. If this happens, Bharti will be benefited as it has crossed 200 mn mobile customers mark in India – the world’s second largest mobile market. Bharti Airtel is having the largest 3G network in India. 3G site addition remained strong with 3G customer base increasing to 16.9 mn in Q3FY15 as against 15.4 mn in Q2FY15. With rich spectrum holding of 111.6 MHZ, the company is well positioned to meet competition that may arise from the entry of new players like Reliance Jio and technology related risks. The company is further building its capabilities in providing high-speed 4G services across India, which in turn would enable the company to enhance its product portfolio and cater to a large section of users. As of now, the company is comfortably placed to increase its user base due to non-availability of competition in this premium product range. The company, with 23% wireless subscriber market share, remained a leading Indian wireless operator. In this regard, the user base grew by 2.6% sequentially to 42.2 mn in Q3FY15. Whereas, the African subscriber base has expanded sequentially by 4.5% to 27.1 mn in Q3FY15. 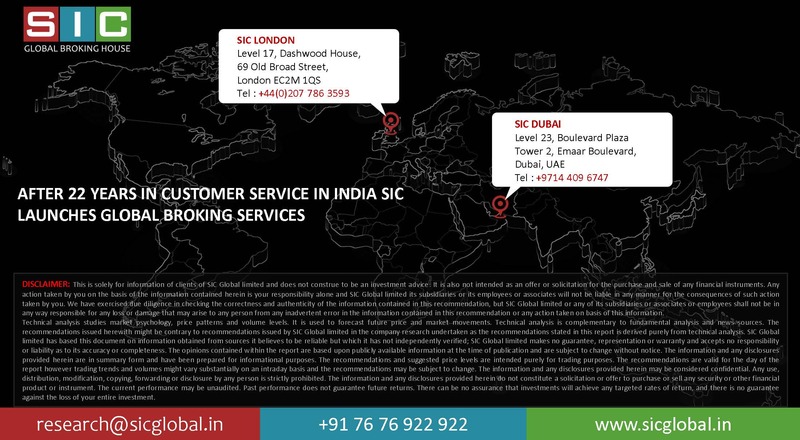 With a focus on growing customer base, we believe that the company has a huge opportunity to tap future growth prospects across India and Africa regions due to the low penetration level in data and voice services business. 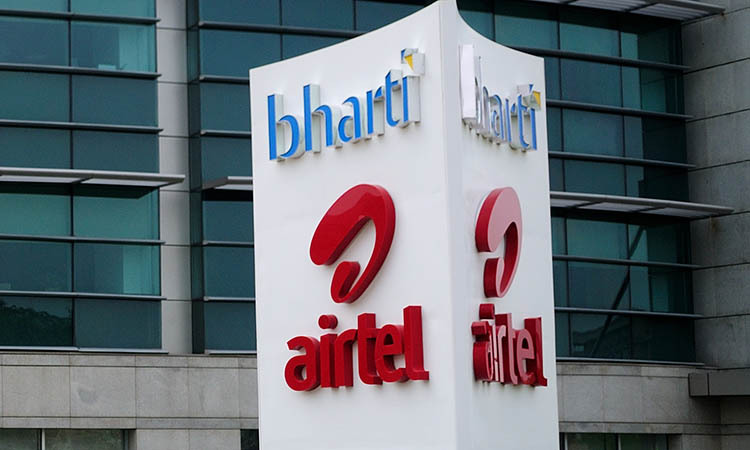 Established in 1995, Bharti Airtel Ltd. is the world’s fourth largest mobile telecommunication service provider in terms of subscribers, operating with over 275 million subscribers across 20 countries. In India, the company’s product portfolio include second generation (2G), third generation (3G) and fourth generation (4G) wireless services, mobile commerce, fixed line services, high speed DSL broadband, Internet protocol television (IPTV), DTH and enterprise services including national & international long distance services to carriers. Bharti Airtel has developed a unique business model – “Minutes Factory” focused on producing the lowest cost minute to maintain higher profitability & margins. An increased affordability would result in more users & more usage and would help raise the scale of minutes thus proving cost efficiency. Bharti Airtel delivered a strong performance in Q3FY15, with 5.8% YoY growth in consolidated revenue at 232.1 bn led by 61.9% YoY growth in Mobile data service revenues across geographies, which accounts for more than 85% of the incremental revenues of the company. On a regional basis, Indian operation witnessed 12.6% YoY healthy revenue growth supported by higher revenues from Mobile services India (+13% YoY), Telemedia services (+13% YoY) and Digital TV services (+16% YoY). Internationally, the performance remained weak with South Asia and Africa recording 15% and 6% YoY decline in revenue, respectively. With sustained control over cost, the company’s EBITDA grew by 9.6% YoY to 77.9 bn in Q3FY15 resulting in 110bps YoY growth in EBITDA margin to 33.5%. Finally, net profit surged by 135.4% YoY to 14.4bn, during the quarter. Bharti Airtel continues to hold a strong position in its domestic business with robust operating performance in the wireless business. Revenue from Indian operations grew by 12.6% YoY to 162.6 bn in Q3FY15 lead by Mobile services India (+13% YoY), Telemedia services (+13% YoY) and Digital TV services (+16% YoY). Higher revenue from mobile services in India during Q3FY15 grew by 0.45p YoY which is a significant improvement in mobile voice realization, whereas mobile data revenue grew by 74.3% YoY in Q3FY15. With the revival in Indian telecom industry, we believe Bharti Airtel, with its strong brand & leadership position continues to deliver strong growth and superior margins from its domestic business in FY16E. The company’s African business performance remained muted, with 1.0% QoQ and 5.6% YoY decline in revenue from African business, majorly due to 7.3% QoQ decline in voice RPM. Strong cross currency headwinds and higher cost adversely affected the African business performance. Data revenues, which contribute to 10.5% of overall Africa revenues, grew by 34.9% YoY at USD 116 mn. Data realization, however fell for the second successive quarter in a row by a large 14.6% QoQ and 23.2% YoY respectively. With rising data customer base and the company’s effort to control cost by divesting its tower assets, we expect revival in the company’s African business in the medium term. Continuing its growth momentum, Bharti Airtel witnessed a consistent domestic performance on the data service front, with the double digit sequential growth in Q3FY15. The company’s data service segment contributed 16.2% of mobile revenue in Q3FY15 as against 10.6% in the corresponding quarter last year. With 32% YoY increase in data customer base, average revenue per user (ARPU) of the company grew 25% YoY to 170 in Q3FY15. Data Usage per customer rose 38% YoY to 622 MBs during Q3FY15, resulting in 94% YoY growth in total usage of data to 77,281 mn MBs on the network. Setting the technology trends in India, Bharti Airtel is the first telecom operator to introduce 4G into the country. Recently, the company introduced high-speed 4G services across 16 cities in India and has inked an accord with Nokia networks to expand its 4G presence to six new circles. This deal marks the first FDD-LTE deployment on 1800 MHZ in India. Further, the company plans to roll-out its 4G services in Andhra Pradesh, North East (7 states), Punjab & Himachal Pradesh by December 2015, Karnataka February 2016 and Rajasthan by April 2016. Thus, we believe that the company’s expanding presence in the 4G space would enable it to enhance its product portfolio and cater to a large section of users. As of now, the company is better placed to increase its user base due to no competition in this premium product range. In the March 2015 auctions, the GoI received 1,098.8 billion on sale of ~ 418.05 MHZ of spectrum. Bharti Airtel is aong the top three spectrum winners, with 111.6 MHz of spectrum in its kitty in the current auctions, with a total pay-out of 291.3 billion. Out of which, the company made an immediate payout of `78.3 billion to the government. The company succeeded in buy backing sufficient spectrum in all its expiring circles. Post auctions, Bharti Airtel has emerged as the leader with the strongest spectrum portfolio among occupants of about 561.5 MHz across bands of 800/900/1800/2100/2300 MHz with a mix of liberalized and non-liberalized spectrum. With the exception of circles such as Kerala, the company has 3G spectrum across 21 circles against 13 prior to the auction. Enormous spectrum holding will help the company in gaining market share. Thus, we believe that the huge spectrum holding will boost the service quality standards of Bharti Airtel to roll-out its high speed coverage even more efficiently, which in turn would help in enhancing revenue visibility of the company. On the balance sheet front, Bharti Airtel’s debt has grown at a CAGR of ~6.5% during FY11-FY14. In Q3FY15, the net debt for the company rose by 7.4% QoQ to 668 billion. However, post spectrum auctions, with the total pay-out of 291.3 billion, the company’s debt burden is expected to rise by 213.0 billion. Subsequently, the company’s net Debt/EBITDA is expected to surge to 2.4x in FY15E from 2.2x in Q3FY14. The management expects the overall capex for FY15 to stand at USD 2.6-2.8 bn. In order to mitigate the rising burden of high debt levels, Bharti is selling its African tower business which has been a drag on the overall profitability. In Q2FY15, the company announced a divestment of 6,600 towers across 10 African countries. Further, in Q3FY15, the company announced two agreements for the divestment of 4,800 towers in Nigeria to ATC and 1,100 telecom towers in Zambia and Rwanda. With this, the company entered into a contract for divestment of a total of 12,500 towers across 13 countries in Africa. The sale of towers is subjected to statutory and regulatory approvals in the respective countries are progressing well and is likely to generate cash of USD 1.2-1.5 bn, which will help in easing its debt pressure. Owing to the heavy pay-out across industry, we believe a tariff hike is imminent, which in turn would help to offset the dent triggered by increasing interest costs. Bharti Airtel’s management continues to place confidence in improving competitive landscape of the domestic wireless industry. Hence going forward, the management expects an improvement in the realized rates and consequently in the EBITDA margins. Muted business performance from Africa & rising debt concern post spectrum remains the cause of concern. However, the sale of the company’s African tower business is likely to ease some debt burden going ahead. Bharti Airtel’s focus on rollout of 3G/4G and 2G data services and huge success in the recent spectrum auction will boost the data business, which in turn would result in higher revenue visibility in the coming years. At a current CMP of Rs. 401, the stock trades at a EV/Net sales ratio of 2.2x FY16E and 1.9 x FY17E. We recommend ‘BUY’ with a target price of Rs. 495, arrived at FY16E net sales which implies potential upside of ~23.4% to the CMP from a long term perspective.